411 Freebies And More: Palm Springs Elliptical Trainer $100! 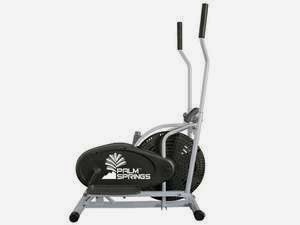 Palm Springs Elliptical Trainer $100! Get this Palm Springs Elliptical Cross Trainer with Computer for $99.99 plus free shipping from Golf Outlets of America via Newegg. This was the lowest price we found by $10. This elliptical machine provides a total body workout with low-impact and it has adjustable resistance. Sales tax is charged in some states.